His steps and moves have, so far, been measured and calculated. He has been taking deliberate and conscious steps to ensure that he puts his hand where his mouth is. 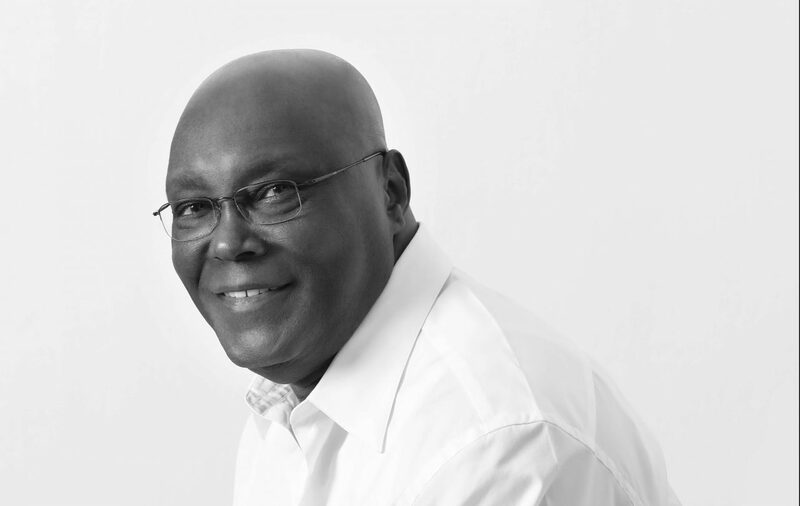 That is Atiku Abubakar, the presidential candidate of the Peoples Democratic Party in the 2019 general elections. After his overwhelming victory at his party’s National Convention of 6th October, 2018, Atiku has left no one in doubt that he is prepared for the journey ahead. His first major assignment was instructive. He announced his running mate without stalking. He did not beat about the bush. He did not keep anyone guessing. It spoke volumes. It was an indication that he knew what he wanted. And he went for it. That was why he was not deterred by the shrill voices of dissent that issued forth from some quarters. With a fitting partner in place, Atiku set sail. He went into a conclave. Like the papal conclave of the College of Cardinals convened to elect the Bishop of Rome otherwise called the Pope, Atiku retired into seclusion in far away Dubai. But he knew that he would not do it alone.He needed like minds to achieve visible results. And so, a select few had to join him. The team was carefully chosen. They needed to provide a road map for what promises to be a campaign to end all campaigns. Weeks later, Atiku returned to the country with his sleeves firmly rolled up. In the manner of a practised hand, he swung into action. Again without stalking, he went into the heart of the matter. He was able to identify that the south east is the soul of the contest this time around. And so, he made the zone his primary focus. That was his first port of call after the presidential conclave. He flew into Enugu to the warm embrace of a fully moblised and (if you permit the trending coinage) Atikulated Igbo leadership. There were points of convergence between Atiku and the Igbo political elite that gathered at Nike Lake Resort. The first was the choice of Peter Obi as running mate. The occasion provided the Igbo with the opportunity to endorse the ticket. They told Atiku how apposite his choice was. Obi, they told Atiku, is one of the best exports of the Igbo nation to Nigeria. As a young man, Obi exposed himself to the best of learning environments outside the country. He has been to the best of schools . His exposure to world economies is very admirable. You can rely fully on the former governor if you want to deal with issues of economic management. As governor of Anambra state , Obi brought his knowledge and wealth of experience to bear in the management and administration of the state. The result was all too clear for all to see. Anambra rose to the top in matters of teaching and learning. And in no time, it churned out products that are now a reference point at the Silicon Valley. With his excellent track record, the Igbo leaders were not in doubt that Obi will add immense value to the Atiku presidential ticket. The second revolved around the buzz word called restructuring. The south east, just like its counterparts from the south south, south west and north central, wants a restructured Nigeria. By restructuring they mean that Nigeria as a federal republic should be a federation in deed and in truth. The key component of this is fiscal federalism. A federal republic such as Nigeria should give its federating units the right to control their natural resources and pay royalty to the central government . This is the practice in all federations across the globe. That Nigeria is an exception is an aberration. Also, a restructured Nigeria, as being canvassed, will not have any place for local governments as federating or quasi federating units as is the case now. Under the present order, local governments form the major basis for revenue allocation. A restructured Nigeria will have no common revenue to share since the component units will be in control of their resources. Local government areas will therefore serve no purpose at the centre. They can function at the regional or zonal levels if such a region or zone so wishes. The implication of this is that local governments will be expunged from the constitution. Each component unit of the federation can have as many local governments as it wishes and this will strictly be its internal affair. Flowing from this is the fact that restructuring entails that a lot of functions will be devolved to the component units. Under the present arrangement, the federal government has too much on its hands. And that is why it is unable to deliver on a good number of them. Restructuring will unburden the central government considerably. In other words, most of the items currently on the exclusive and concurrent legislative lists will move over to the residual list where the regions or zones have control. There is also the aspect of restructuring that makes policing a zonal or regional affair. Here, police affairs will shift from the exclusive legislative list to the concurrent. This will give the states the power to deal with internal security while the centre concentrates on protecting the territorial integrity of the country. Under this arrangement, chief executives of states will truly become chief security officers in their domains unlike the present order where they are glorified chief security officers. There are a number of other components to the restructuring agenda. But the essential point here is that Atiku is not a convert to these ideals. Before now, he has left many with the impression that he believes in them. In fact, he has been advocating for restructuring and this has endeared him to many in the South and Middle Belt of the country who feel that restructuring holds the key to a united and prosperous Nigeria. Even though Atiku is from the north east of the country where restructuring is viewed with suspicion in some powerful quarters, the former vice president has refused to be persuaded by that regional card. He tends towards the progressive. He has a liberal disposition to life and living. He is not associated with the rigidity of tribe or the fanaticism of religion. He operates an open system. He sees the entire country as a broad canvas in which all Nigerians, irrespective of their ethnic origins or religious persuasions, should be given equal opportunity to thrive. This was the Atiku that Igbo leaders met in Enugu. He was not a convert to restructuring. He has been and remains part of the agenda. He told Igbo leaders that restructuring, under his presidency, is a settled issue. It should be taken for granted. But then, the Enugu declarations of 14th November, 2018, were just a tip of the iceberg. The Igbo leaders could not hold back their admiration for the Atiku-Obi ticket. But the President General of Ohaneze, Nnia Nwodo, made it clear to Atiku that the Igbo are still putting their position paper on the 2019 presidential election together. They will listen to other presidential candidates as they have done with Atiku. After that, they will make their final position known. But as they say, morning shows the day. Atiku has started well. The expectation is that his goodness will lead him all the way. If he remains consistent, and there is no reason to imagine that he will not, then it should be taken that his presidency will have a strong pillar in the Igbo homeland. Beyond that, the Igbo are, this time around, determined to harness their huge voting population outside their homeland and translate it into visible results. The Atiku presidential project may well be the major test case for the Igbo to demonstrate that they constitute some 31 per cent of the Nigerian voting population. The key phrase in this your piece is “if he remains consistent” and that’s the only ‘but’ thereto.